KEAUHOU, Hawaiʻi - "Back from the Brink: Hawaii’s Battle Against Extinction", this yearʻs festival theme, builds awareness for native bird plight. 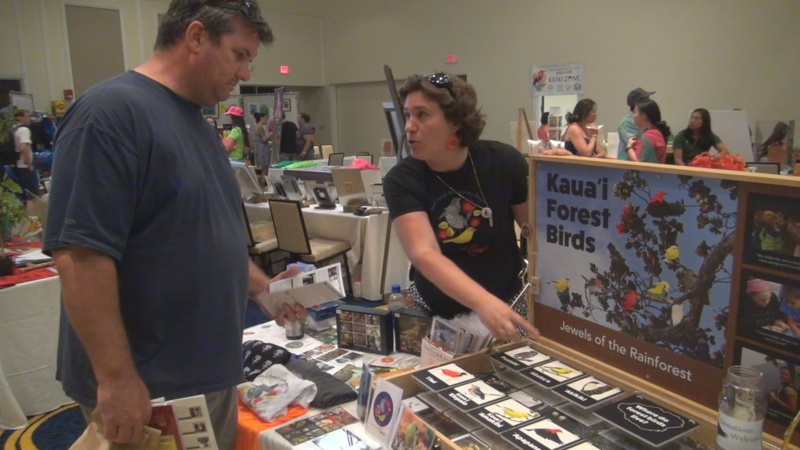 (BIVN) – The Third Annual Hawaiʻi Island Festival of Birds took place September 14 through 17 at Sheraton Kona Resort & Spa at Keauhou Bay. This year’s theme was “Back from the Brink: Hawaii’s Battle Against Extinction,” and it showcased efforts to save Hawaii’s rarest bird species. 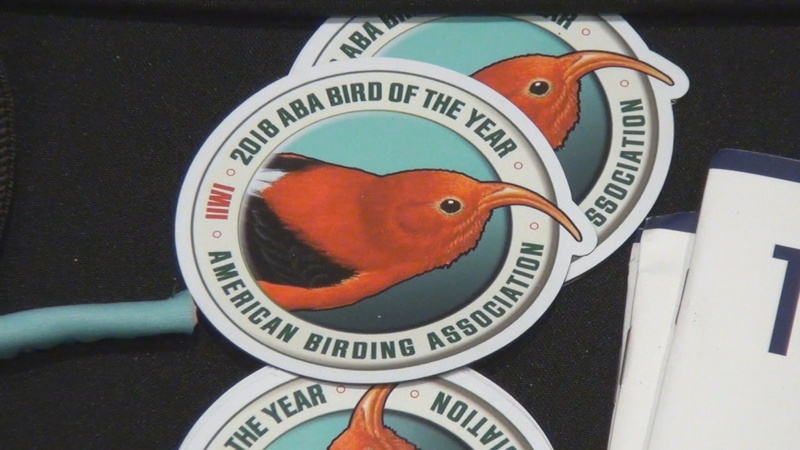 The American Birding Association named the ʻiʻiwi the 2018 Bird of the Year. Budding bird watchers were also introduced to a new app that helps identify birds in the field. Merlin Bird ID is a free app created by the Cornell Lab of Ornithology, said Drew Weber. “We just released the Hawaiian Islands bird packs that includes 200 species that you can find here,” demonstrated Weber, using the app to identify a yellow-billed cardinal seen hoping around the Sheraton Kona Resort grounds.